Player number 2, Chris Oh, trying to get the ball from a Cliffside Park Raider. The BT fans cheering on the soccer team. Many fans brought baby powder and white body paint to show their spirit. 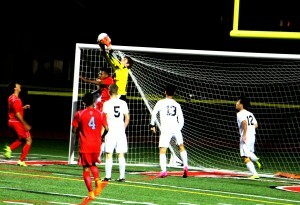 A great save by BT’s Varisty goalie, Brandon Duffy. 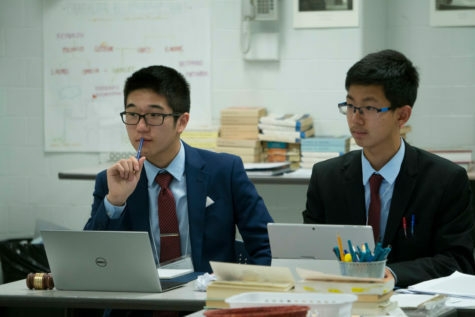 An exciting action shot, featuring players Alex Whang and Dan Ryvkin. Four Varsity players stand guard on a corner kick, keeping the ball out of the goal. Player Kenny Gwon takes a shot. Some of the soccer team after their win, coming towards the fan crowd. An amazing save by goalie Brandon Duffy.